Have you ever found yourself surprised by the unpleasant look (and feel!) of inflamed zits on your shoulders? While face acne is by far the most common type, shoulder acne does not fall much behind. Zits on the shoulders tend to be more common in men than in women, and, of course, people with acne-prone skin on the face are more likely to get some on their shoulders and back too. Yet, shoulder acne can pay an unwelcome visit to anyone. Just as facial acne, a shoulder zit starts forming when a pore on the skin gets clogged. Most often, this clogging occurs because of piled up dead skin cells, but it can also be caused by excess oil deposits – either a result of the overproduction of sebum, or of external oil sediments. Once a pore gets blocked, bacteria spread easily and cause inflammation of varying degrees. The inflamed spot manifests itself as a pimple and can look white, black or red. Since the skin pores on this part of the body are wider than the ones on the face, shoulder acne can end up much bigger, swollen and truly painful. So, having learned about this clogged-pore-turned-shoulder-pimple business, what factors in your everyday life can trigger shoulder acne and how should you avoid them? Inadequate hygiene is a number one factor. Now don’t raise your hackles, we know you shower regularly and you’re not a hobo. Still, you have to make sure you are taking regular and prompt showers, especially after physical exercise or sweating. If you wait too much before going under the shower, with the sweaty clothes still on, you are increasing the risk of shoulder acne. When in the shower, be sure to cover the shoulder and back – we tend to neglect this area when scrubbing. If shoulder acne has already formed – avoid scrubbing. Simply massage your shoulders with a gentle soap or shower gel. Steer clear of overly oily skin products, no matter the type of skin you may have, or add a gentle natural scrub to your routine if you do use them Oil-based shower products or moisturizers leave traces that water can’t always wash away. This excess grease easily combines with sweat and dirt leading to blocked pores. As we mentioned, the excess oil build-up that could lead to a zit may also come from the skin itself. Watch your diet, since fast food and unhealthy saturated fats in overly processed foods – yes, you guessed it – aren’t helping your shoulder acne. Healthier eats support your skin in performing its normal functions properly. Avoid overly fitted clothing, especially during sweat-intensive activities. There is a common type of shoulder acne which develops due to a combination of heat and friction, the so-called acne mechanica. When pressed against the skin, sweat blocks the pores. Shirts or other garments rub against the skin and this constant friction wipes off the sebum and causes irritation. The skin’s mechanism responds to the irritation by overproducing sebum which again leads to pores clogging and intensified inflammation. Another important tip when it comes to clothing – make sure to always keep a spare clean shirt close by when working out or when you know you’ll be sweating intensively. In other words, avoid putting on sweaty clothes even if dry. The same goes for your bed sheets – change them regularly. Bacteria stick to sweat and dirt and mixed together easily block pores, i.e. – yes, shoulder acne. While the above-mentioned five can often lead to the appearance of mild shoulder acne, they are not the causes of shoulder acne – more like factors that play a part in escalating the situation. The deep-root causes of shoulder acne, just as with face acne, can be difficult to pin down and specific to your individual health make-up: anything from hormonal changes, to genetic factors and the side-effects of certain medications. Therefore, it is worth consulting a dermatologist to make sure the treatment option you choose matches the type of shoulder acne you are dealing with and its specific causes. How to get rid of shoulder acne? One option to go for are pharmaceutical products designed for combating shoulder acne. Treating shoulder acne is said to be easier than treating face acne since the skin on our back and shoulders is thicker and less sensitive, which allows for the use of stronger medication. 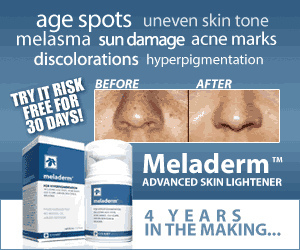 Usually made in the form of creams, over-the-counter acne medication can be very effective. 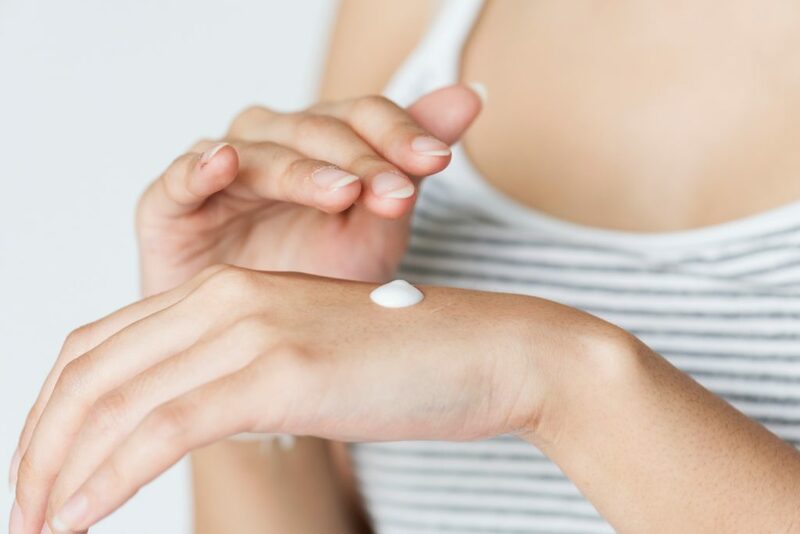 The most common ingredient these creams rely on for treating shoulder acne is called benzoyl peroxide. Benzoyl peroxide is an effective bacteria-fighting chemical present in face and skin care cosmetics all around the spectrum. Also available for use is concentrated benzoyl peroxide in the form of a cream, but be careful with the dosage. It’s known to leave the skin dry after use, so start easy and consider combining it with mild moisturizers to be applied afterward. Benzoyl peroxide combines well with other treatments too: applying it for a few minutes and then rinsing before using another acne remedy can speed up the treatment process. By exfoliation, we mean the gentle removal of acne-causing dead cells and dirt build-up. Regular skin exfoliation is good both as a preventive measure as well as a therapeutic strategy. There are various exfoliating methods out there, but whatever you choose, it is extremely important not to further irritate your skin! Once your shoulders are covered in zits, exfoliation must be extremely gentle. In case you are determined to avoid harsh medications, by all means, you have several all-natural ingredients at your disposal. These make a good choice if you have sensitive skin since they are gentle and do not cause dryness. 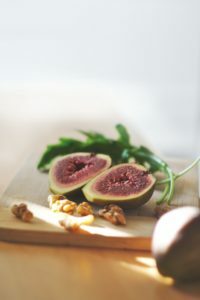 By killing off the acne-causing bacteria and cleansing dead cells, while moisturizing your skin at the same time, natural remedies also help minimize the appearance of scars and redness. The list of most effective natural remedies for shoulder acne includes tea tree oil, apple cider vinegar, turmeric or green tea warm compresses. The dangerous effect of UV rays is found to worsen skin conditions, including acne. Do not forget to use sunscreen when exposing your shoulders even if it’s not summer anymore. Word of caution: With an acne-prone skin on your shoulders, avoid oil-based sunscreens. A myth about squeezing acne to “clean” them still lingers out there. The urge to do just that – or to do something about them, in fact – can be difficult to subdue. They’re really annoying – we keep thinking about them and we want to act. Unfortunately, there are no quick, overnight solutions for shoulder acne – or any other type of acne for that matter. The best you can do is stay persistent in a chosen routine and make sure you do not touch or squeeze any zits so as to avoid scarring or to slow down the healing process. Unfortunately, when it comes to acne, there’s barely a part of the human body where they cannot form (except, for example, an area like the foot sole). Zits can appear anywhere on the skin where sebum-producing glands and hair follicles exist. Shoulder acne come in several forms, but effective self-care methods exist. It is best to consult a doctor if a chosen self-treatment method gives no visible results in the course of a week when applied consistently – or if you notice the situation changing for the worse! Remember that acne – on the shoulders or any other body part – are a complex condition. Try to understand your skin and work with it, not against it. However, shoulder acne is definitely curable and with enough persistence and a smart routine, you will eventually be able to wear your favorite back-revealing garments again.